This DURBAN POISON Strain 250mg CBD Vape Oil is extracted from hemp plants specifically cultivated for high CBD content. 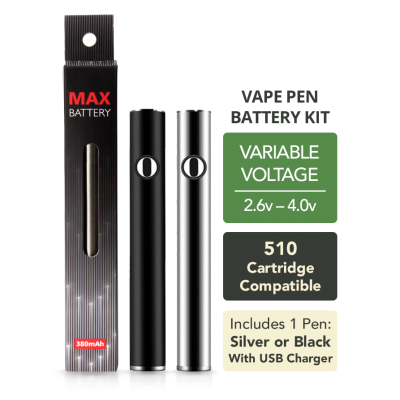 Using a Super Critical C02 Extraction process, the CBD and other beneficial cannabinoids, terpenes, and omega fatty acids, are made into a premium-grade, high-concentration, phyto-cannabinoid hemp oil specially formulated for vaping. Following extraction, we infuse the oil with additional natural plant terpenes to recreate the specific terpene profile of the medical cannabis strain DURBAN POISON. Uses a Medium Chain Triglyceride coconut oil base for maximum cellular bio-availability and metabolic energy. 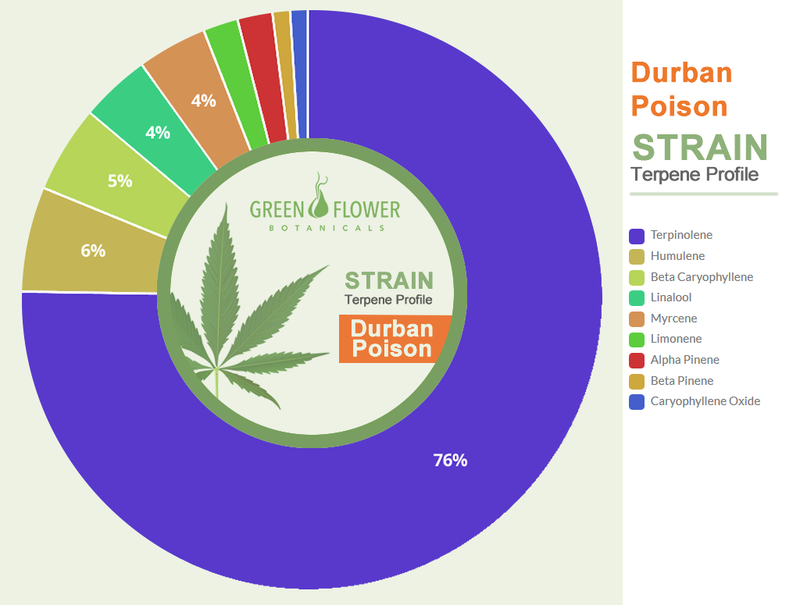 The Durban Poison Strain is a favorite of our Green Flower customers. 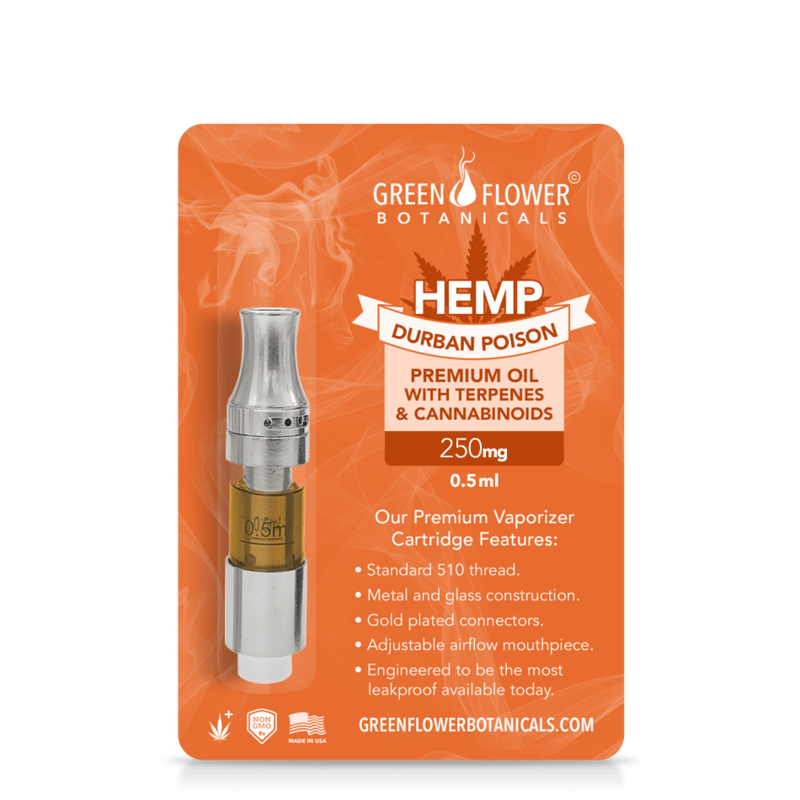 The synergistic effects of this particular terpene profile in combination with our full-spectrum, whole-plant Cannabidiol (CBD) makes this special blend a go-to oil for many of our customers. To learn more about this very special blend checkout the terpene profile (especially terpinolene). 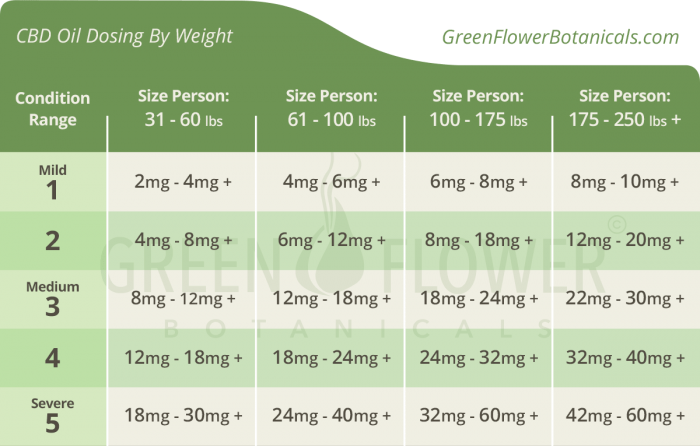 The properties in this strain profile have been researched for their anti-cancer, antioxidant, anti-bacterial, anti-depressant and bronchodilator effects as well as more. Very smooth, pleasant taste! Great customer service!! I have a highly comorbid symptomology concerning mental health that I will not dive fully into, however, my primary reason for purchasing this was to help with what I perceived as insomnia. It has been great to wind down with this one, as it is calming and supplements my tiredness so that it is easier for me to actually rest.